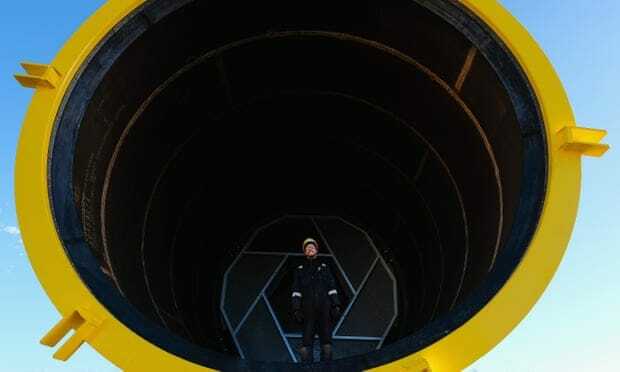 An engineer stands inside a transition piece that will connect the foundation to the tower at Hornsea One offshore windfarm. LONDON - An offshore windfarm on the Yorkshire coast that will dwarf the world’s largest when completed is to supply its first power to the UK electricity grid this week. Hornsea One will cover 407 square kilometres, five times the size of the nearby city of Hull. At 1.2GW of capacity it will power 1m homes, making it about twice as powerful as today’s biggest offshore windfarm once it is completed in the second half of this year.